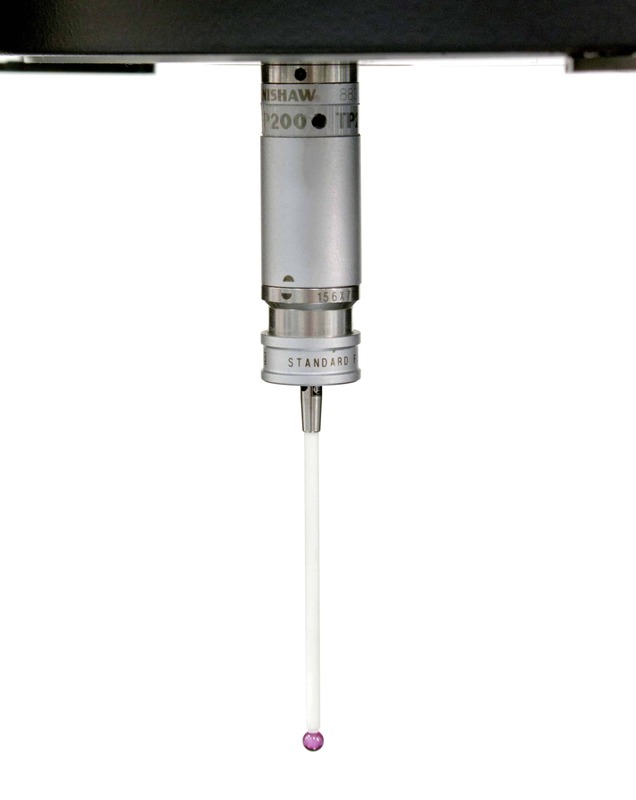 Maximise your measurement versatility with the single point touch trigger probe. Ideal for measurement of surface boundaries that are inaccessible to video and features that are difficult to image. Touch probe measurements can be collected, evaluated and reported with any ZONE3, or MeasureMind 3D multi-sensor measurement routine. With unique probe-to-optics offset calibration ensures that all sensors are set to the same coordinate system so that measurements can use points from any sensor. Included with every touch probe accessory package is reference sphere and calibration software so that measurement accuracy is assured. Standard single point touch probe systems include a probe sensor, detachable stylus module (DSM), and a 20mm stylus with a 2 mm ruby ball. To increase your measurement capabilities and efficiency we recommending adding a 2-, 4- or 6-position change rack, and fill it with the probes you use the most for ease of accessibility. Probe access and return is programmable and fully automatic, simply include probing in your measurement routine and the machine does the rest. Touch trigger probes are available for selected SmartScope models such as Quest, Flash, ZIP and ATS.